My third day of covering Indonesian MPs was the busiest but also the best: I got a bonus to dine with them. Gourmet ones, truly not my usual student fare. I’m not accustomed on being an embedded journalist, so it’s kinda weird. But nice. Disclaimer: I don’t receive any advantage from the MPs other than the meal. And the news, of course, but it doesn’t count. The lunch was served in the Writing Room of the old part of the parliament building. A glass of white wine accompanied the meals. 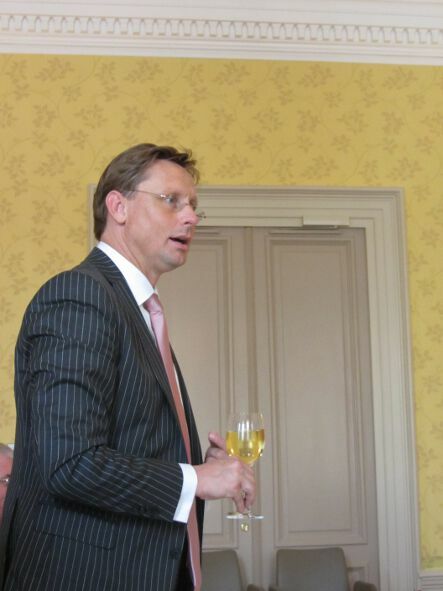 JH ten Broeke, the dandy vice chairperson of Public Expenditure Committee of the Dutch parliament, opened the lunch with a toast. 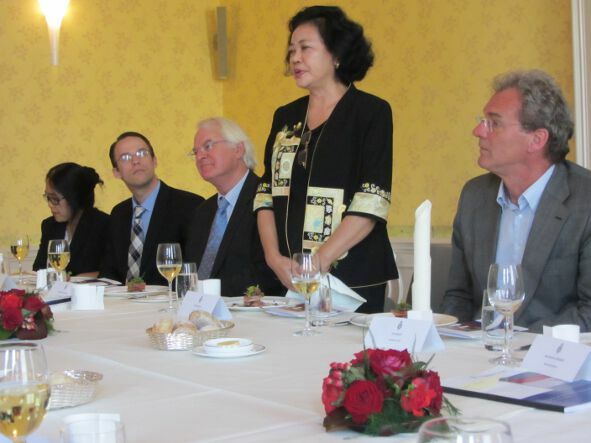 Sumarjati Arjoso, the chairperson of Indonesian parliament’s Badan Akuntabilitas Keuangan Negara (State Finance Accountability Committee), said her part of the toast. 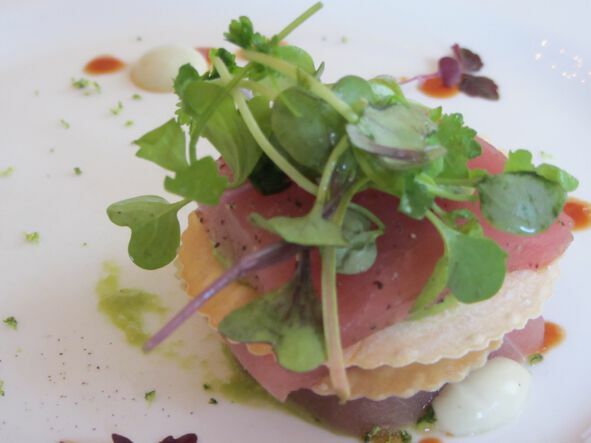 The appetiser was a strange fusion: tuna sashimi with filo pastry and wasabi. The main course was superbly delicious! 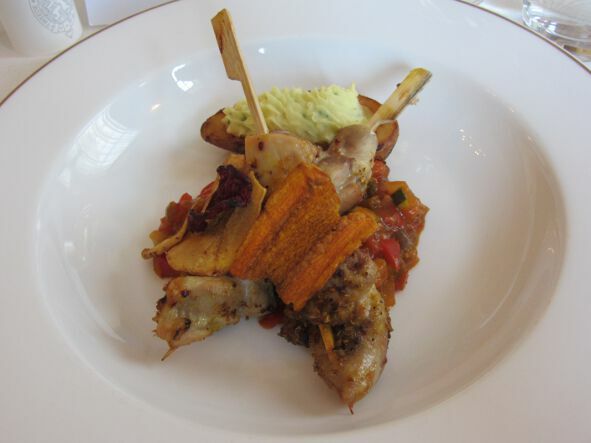 It was skewered roast fowl with salsa and stuffed potato. The fowl was very tender and went really well with the spicy salsa. I only left the skewer sticks behind. Everything else was moved into my stomach! 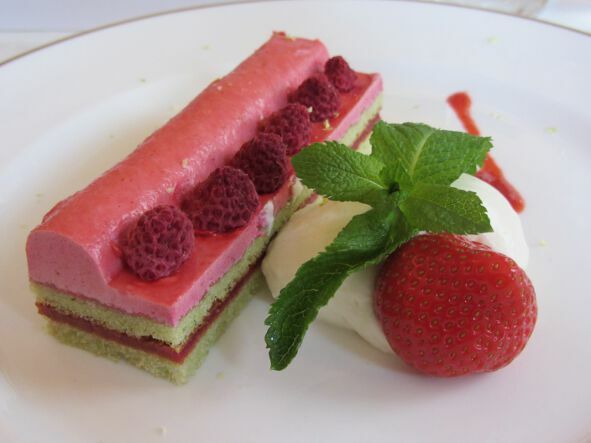 The dessert was nice, raspberry cake. Fluffy, sour and sweet. Just like every seating arrangements that day, they put my name on the table. 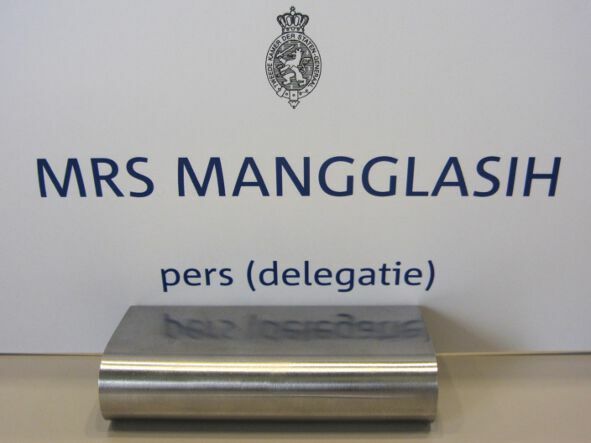 My name was misspelled and I was branded as a married woman. Mrs? Hm. Oh well. 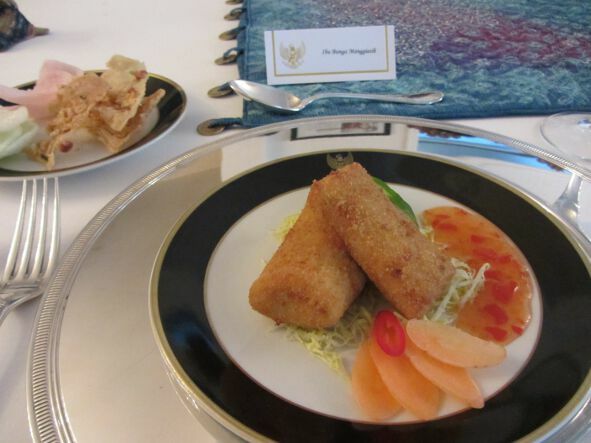 Then at dinner at the Indonesian ambassador’s house (Retno LP Marsudi is the kindest ambassador I’ve ever met, btw), we had chicken risoles for appetiser. 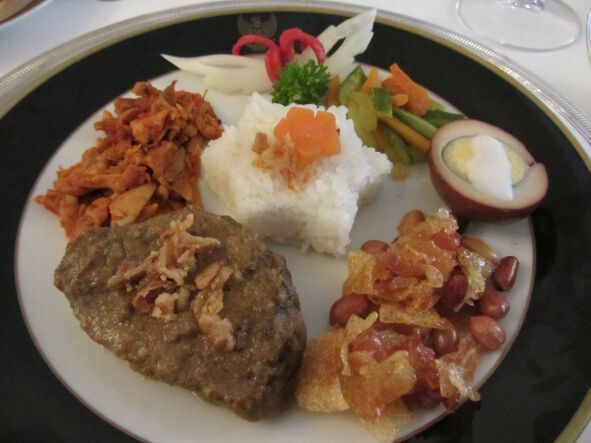 The main course, nasi campur Semarangan, was great. The rice portion was small but balanced the sumptuous dishes on the side: beef stew, spicy chicken, sweet egg, potato chips-and-nut, and pickles. It was one of the most lavish chance of dining I’d ever had in The Hague. Yum!